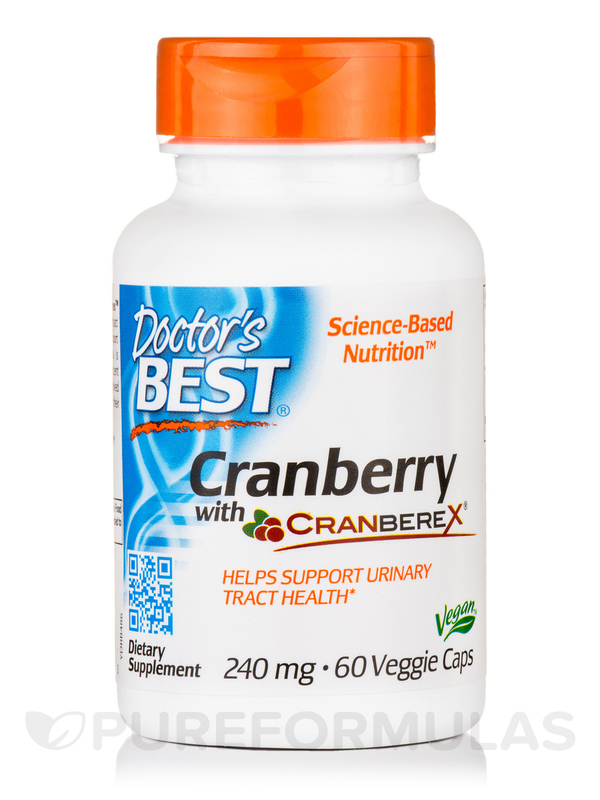 Doctor’s Best Cranberry with Cranberex™ is an ultra-concentrated‚ whole fruit extract (200:1) of Oregon Cranberries to support urinary tract health. 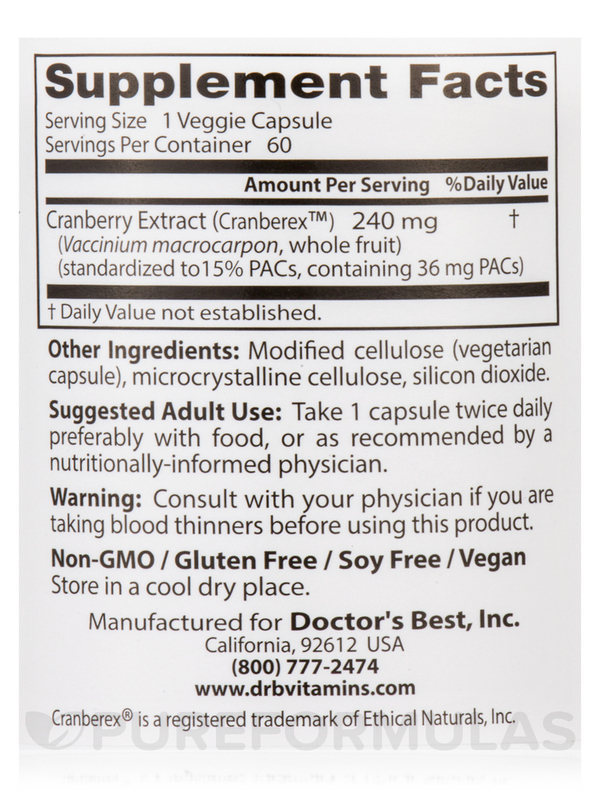 This formula is standardized to contain 15 percent Proanthocyanidins (PACs). 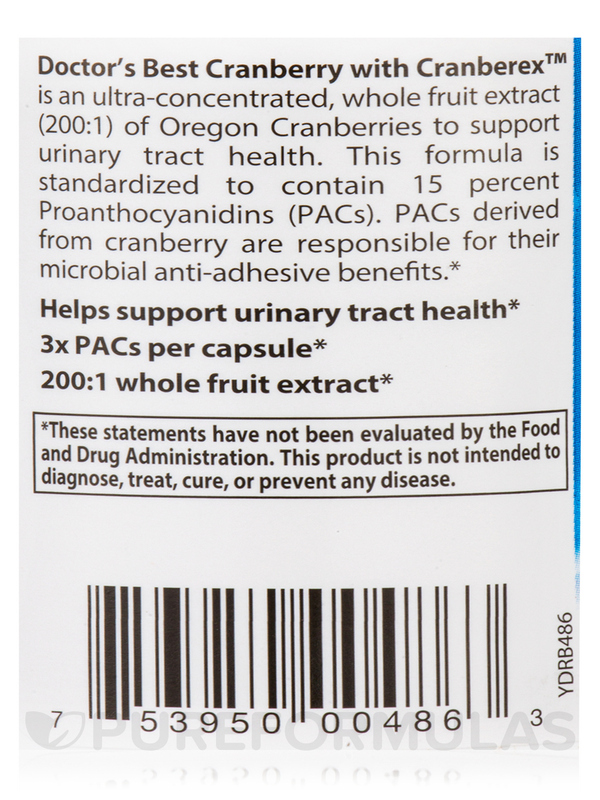 PACs derived from cranberry are responsible for their microbial anti-adhesive benefits. 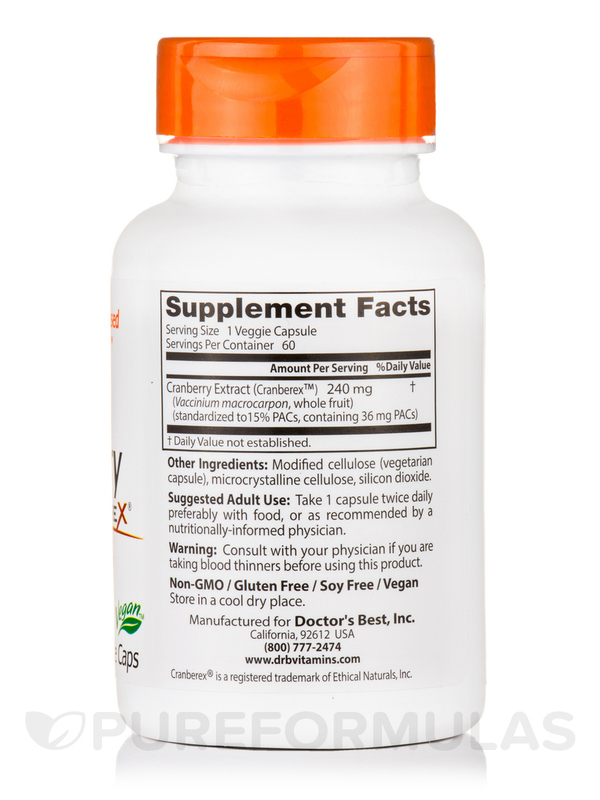 Take 1 capsule twice daily preferably with food‚ or as recommended by a nutritionally informed physician. 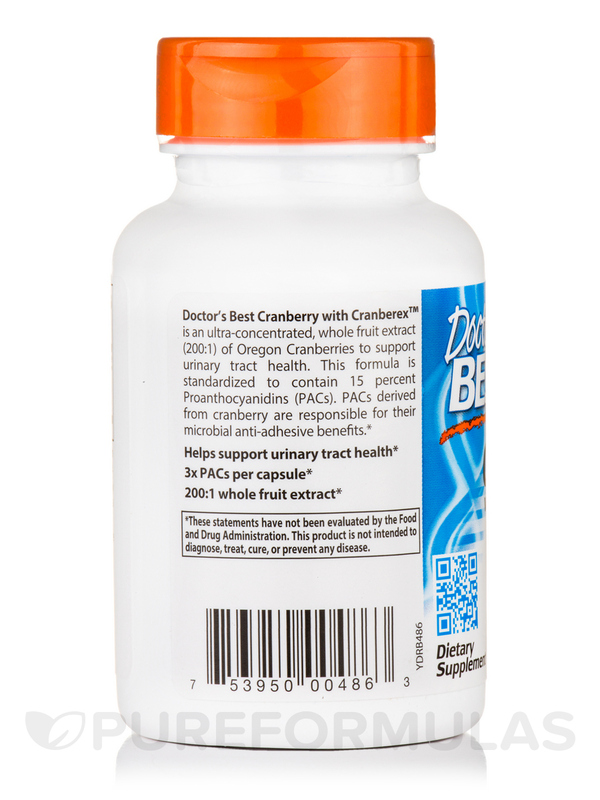 Consult with your physician if you are taking blood thinners before using this product.